Welcome to the MCCR website. Metropolitan Community Church of the Rockies is a church of the lesbian, gay, bisexual, and transgendered community, our families, friends, and straight allies. We are proud to be gay and straight together. We are not a traditional church; we are a vibrant faith community based on a passionate belief in God’s grace. Our worship is dynamic featuring contemporary music and messages for today. We build relationships by encouraging spiritual growth and service to our community. Whoever you are, wherever you are from, come as you are… YOU are welcome here! MCC of the Rockies is proud to announce our new pastor, Ben Mann. The unanimous vote came after a Long interview process and we are confident in the new direction our church now takes. Ben will be taking some time to set up his move to Denver and expects to be moved by late September or early October. Ben is currently located in Washington, D.C. where he has been working as a project manager for a consulting firm for the last three years. Ben is finishing his last class for his Master of Divinity degree from the Central Baptist Theological Seminary in Kansas City and holds a Master of Public Administration degree from the University of Missouri, also in Kansas City. He has rather broad experience working with nonprofit leadership and in creating grant applications. Ben lived in Denver for a year or so and studied at the University of Denver. He knows a bit about our city and the metro area. Ben’s religious tradition has been the American Baptist Church and though not yet ordained in either the American Baptist Church or the Universal Fellowship of Metropolitan Community Churches, he is pursuing ordination. 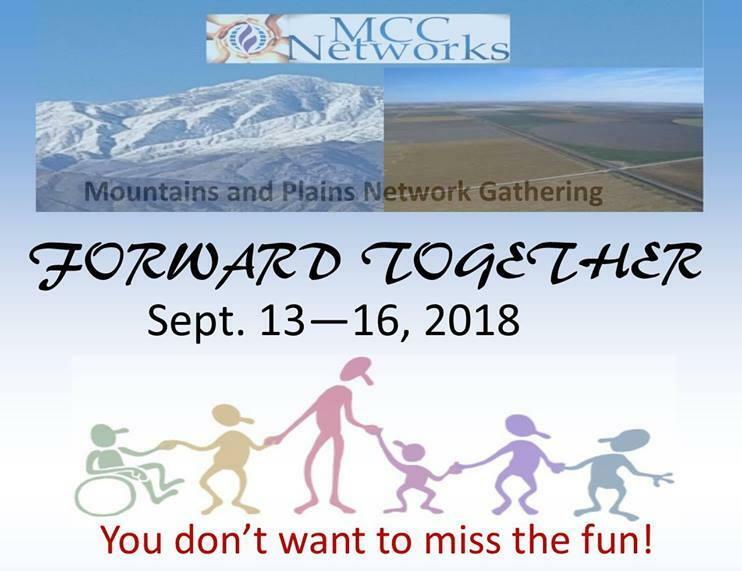 All are welcome to participate in fun and fellowship, learning and worshiping together, and preparing ourselves for the big gathering in 2019 (General Conference). or by phone 303-860-1819 x26. To register please go to the web using the link below. Adopt a Bill If you would like to adopt a bill, please see the list of bills in this bulletin. Then let Fred know if you can help. Anything is appreciated. We need everyone to sign up for a ministry.